Who is your favorite character in the book? Why? Gideon Tabor is my favorite. He’s a judge, but he has kept a very fun nature. His interactions with V.J. are still some of my favorite scenes. He’s also wise, and he understands Charisse and V.J.’s need to overcome their grief. There, he shows himself strong enough and in love enough with both mother and son to allow them to share their memories of Vance Wellman. How does Charisse’s life parallel with your own? Well, I worked in just about every area of law, but not at the level where Charisse is during the story. In my twenties I toyed with the idea of going back to school and getting a law degree. However, writing was my priority, and I chose that instead. What would you like the reader to take away from this story? That forgiveness is necessary. There is healing in just letting the hurt, bitterness, and the need for retribution free. Since this is part of a series, which characters can we expect to see in the next book(s)? Well, Libby has her own story for sure. She emerged as a minor character into a character whose story came about naturally. In Libby’s story, she is going to have a bit of trouble from a young lady named Hope. Then Hope has her own story to tell. Oh, and by popular request (from my editor, too) the Honorable Judge Delilah James has a story to tell. Gideon will return in full force and playfulness as will Charisse’s son, V.J. The series is entitled The Ties that Bind and as each story develops, the characters support and encourage—and play matchmakers—and they become a unique family. 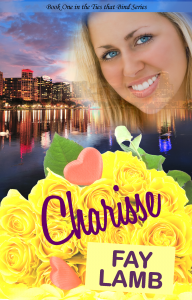 Charisse is published by Write Integrity Press and is available in bookstores and at your favorite online retailer. Fay works as an acquisition editor for Pelican Book Group. 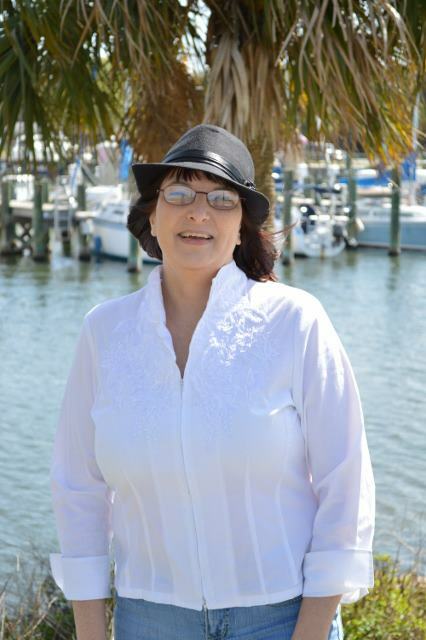 To learn more about Fay and her writing, visit her blog, On The Ledge, at http://www.FayLamb.com. For writers, Fay offers advice for self-editing at the Tactical Editor both at http://www.facebook.com/tacticaled and for the Pelican Book Group Staff Blog at http://pelicanbookgroup.blogspot.com/. This entry was posted on Wednesday, August 14th, 2013 at 7:12 AM and is filed under BOOK REVIEWS. You can follow any responses to this entry through the RSS 2.0 feed. You can leave a response, or trackback from your own site. Pat: Thank you for such a wonderful review of Charisse. I appreciate it very much. My pleasure, Fay. I can hardly wait for the next releases!